Are you earning the right to time? This is the third in a series of posts looking at The Watertight Marketing Framework. Today, we’re looking at your marketing timing, i.e. how to get people to spend time with you. A person’s time is precious. It’s a person’s gift to allow you time to tell them about your offer. So, whilst the right timing is important to catch someone when they’re in a buying frame of mind, earning the right to take up a person’s time is critical. This is especially true if you want to build long-term customer relationships. There are some important elements of getting your timing right that are pretty easy to manage. Things like scheduling and seasonality. But, getting people to want to spend time with you is quite a different matter. What most businesses get wrong is in deluging a potential buyer with all their sales information at the earliest possible opportunity. It’s as if there’s a feeling that you have to shove it all under their nose whilst you have them in case they go away. But, it’s often the very act of shoving unwanted information at them that drives them away. Does your material invite people to spend time with you? You’re far more likely to keep a person’s attention if you gradually draw them into finding out about your products and services. Yesterday, we looked at The Logic Sandwich as an approach to saying the right thing at the right time. Today, I’d urge you to take a moment to map the amount of time your buyers are likely to give you at each stage of the process. I’m willing to bet that, in a considered purchase, it starts off pretty short and expands as they get closer to parting with their cash. Awareness: < 5 seconds | Look at those snappy one-liners for social media updates and the meta copy that shows up in search results. Interest: < 5 minutes | Look at blog posts, short videos or visuals that keep a person interested for about the time it takes to drink a cup of tea. Evaluation: c.20 minutes | Look at case studies, papers and guides, this is when people are really sussing you out. Trial: > 1 hour | This might be a sales meeting, a web seminar or an online demo – something that gives them a sense of being your customer before they are. Adoption: Days | Proposals, sales meetings, presentations, or sign-up communications. Loyalty: Ongoing comms | You now have the right to stay in touch, pop up in their inbox or their Facebook timeline – you’re part of their life, make it fun! 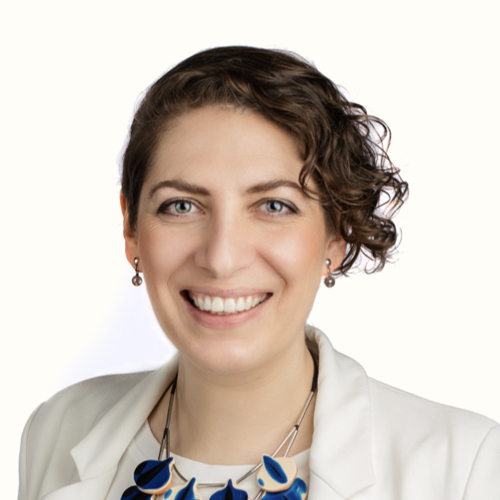 The simple act of cutting up your marketing materials into appropriate time-chunks can help to make the path look more attractive to your buyer. Because, it’s not that they don’t spend quite a lot of time considering their decision, it’s just that they don’t do it all at once. Slow it down. Make it easy. Earn the right to their time. 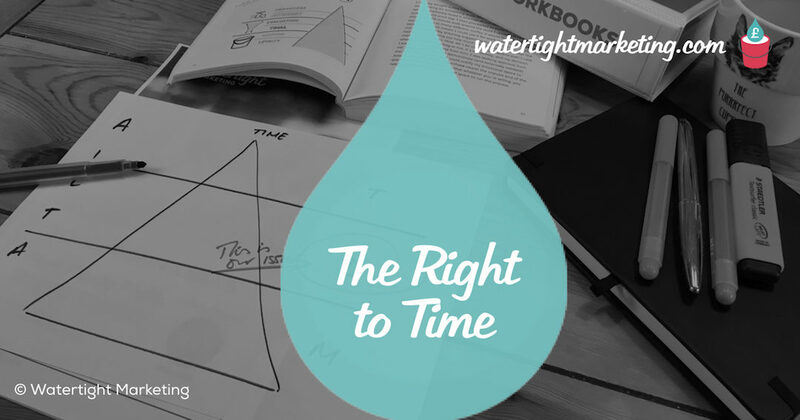 Chapter 4 of Watertight Marketing looks at this in depth and gives you what you need to get the marketing timing right for your business so that more people all the way through their decision to buying from you. © Bryony Thomas | Cartoon by Simon Ellinas. Illustration by Lizzie Everard.